As much of PR, like marketing as a whole, has moved online the pace of change has intensified. However, amid the constant flux there are a few key trends defining the overall direction PR is taking and will likely continue to take in 2016. We will attempt to unravel and unpick some of these key trends in this article. They are in no particular order. 1. The Growing Popularity Of Visual Content In PR. When we say visual content we are referring primarily to image (info graphics, digital brochures and presentations), but more notably, video content. As reported by PRNewsOnline, according to a survey conducted by October PR “51 per cent of professional communicators say that their video budget will increase in 2015”. More specifically PR and marketing professionals are increasingly using brand based video as an educational tool, as opposed to utilising it solely for outright direct response marketing (as it has been previously used). The survey found that 39 per cent of PR professionals found educational video to be the most effective in achieving their goals. This may signal a broader trend away from direct marketing, we suspect due to consumer lethargy to this type of approach among some consumers. The heightened adoption of video content by PR professionals is unsurprising when you look at it from a broader perspective. As reported by Digiday, the Bytemobile Mobile Analytics Report found that in 2013, online video accounted for an impressive 50 per cent of all mobile traffic. And the trajectory is only moving one way, upwards. Cisco reports that in 5 years 80% of the whole internet will be online video, this being 85% for the US. When looking at this trend from the perspective of UAE, Xcel Media reports that “66% of smartphone users use their smartphones to access youtube”. Further, Statista finds that the average weekly video consumption among consumers in the UAE in 2014 was 40.8 hours. That is a lot of visual consumption that PR and marketing professionals can tap into. There is no bigger testament to the importance of visual content to PR, than a quote from WPP in their annual “global communications trends report”, in which they state that “people remember only 20% of what they read and that 83% of learning occurs visually”, going as far as to mention the major visual social networks by name “Instagram, Pinterest and Tumblr”. And speaking specifically of info graphics the report commends them on their “capacity to break large chunks of data into digestible portions”. The section of the report concludes by saying plainly that “we all have ever shorter attention spans and compelling images and visualisations are the key to making your story stand out from the crowd”. 2. Mobile Will Continue To Be Significantly Important In the UAE. The prevalence of mobile is undeniable to most, but surprisingly a large number of PR and marketing professionals are still managing to disregard it when putting together and executing their PR strategies. According to TFour.me, the UAE currently boasts around 16 million mobile phone subscriptions. The United Nations identified that the region has a smartphone penetration rate of over 78%, and 81% in the coveted and highly lucrative 16-34 age group – these are the highest rates in the MENAP region. These huge adoption and penetration rates have been largely attributed to the fact that the UAE has some of the most cost effective mobile phone service rates in the world. What does this mean for PR and marketing professionals? It means they need to have mobile at the front of their minds when planning and executing any PR strategy. They need to be researching and thinking about the approaches and types of content that perform most favourably on mobile. Further, they need to be working hard to identify the most suitable and cost effective mobile marketing channels to utilise in order to get their message in front of their target market within their desired budget. 3. The Rise Of Real Time Marketing. Social media has all but killed the notion that PR and marketing professionals have adhered to for so long, namely, the idea that you push marketing messages out to consumers only one way. In other words, the PR and/or marketing professional pushes out the messages and the consumers, well, consume it. The ascension and now widespread adoption of social media has changed the game entirely, and built an expectation among many consumers that marketing and PR should become a two way street and more of an exchange, with both parties relaying messages to each other. 2015 and 2016 will see this trend move even further into the realm of “real time marketing”. As reported by AdWeek, it will be characterised by things like “messaging based on current events, even for brands not in the news niche” as well as brands “commenting on current events and being available for real-time interactions with their audience”. However, it’s crucial to note that this trend will likely not be as far reaching as the two mentioned above, as real time marketing will probably only be an expectation of, and lend itself to, certain types of brands. But this doesn’t mean that atypical brands can’t get ahead of the curve and invest more time and effort in social media and real time marketing. As we established earlier, smartphone adoption and penetration rates in the UAE are incredibly high. Unsurprisingly internet penetration rates are just as high with approximately 88% per cent of the population of the UAE having internet access (source: World Bank). Additionally, social media adoption rates are also notably high. According to stats from Statista, as of the fourth quarter of 2014, 39 per cent of the population of the UAE has Facebook, and 27% have Twitter. These are not trivial numbers, and if you add to this the fact that UAE consumers have an especially high disposable income then it’s not hard to see why advertisers both domestically and abroad are fighting fiercely to reach these online consumers. As the competition heats up it’s becoming harder and harder for brands to reach consumers as cost effectively (often for free), as they previously had. Many PR and marketing professionals are investing in producing more innovative and creative campaigns to capture their attention. But as there is greater digital noise than ever before many PR and marketing professionals are opting to pay for reach in order to get in front of as much of their target market as possible – doing what it takes to rise above the noise, so to speak. The major social networks (Facebook and Twitter) are making executing paid reach campaigns easier and easier through ever more sophisticated and simple to use self-service advertising tools. And other nascent but sharply growing paid channels such as Taboola and Outbrain are adding to the number of ways marketers and PR professionals can pay to distribute their marketing content and ensure it reaches the people they are trying to get in front of. The numbers seem to support the above argument. As reported by the Khaleej Times, a report by OOXMonitor found that “the UAE accounts for 47.1 per cent of GCC online ad spend”. And a quote from the report “Middle East Online Marketing Outlook To 2017” crystalizes the point, as it states “online advertising in Middle East has been the fastest growing segment in the advertising industry”. 5. 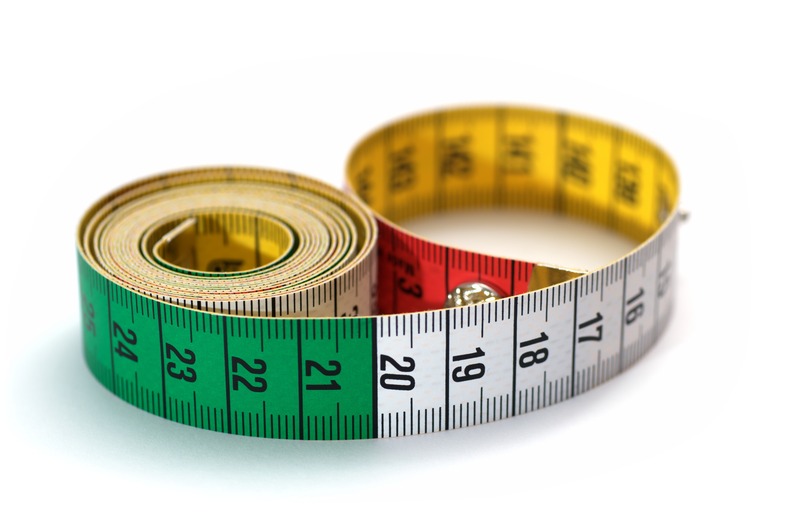 Measuring ROI Of PR Efforts. Pretty much from its inception, digital display and pay per click advertising have had clear ROI measurement mechanisms built in allowing companies the ease of tracking everything from a click to a sale. These advertising mediums have provided now universally adopted and understood ROI metrics such as impressions, click through rates and conversion rates. Conversely, PR, for a long time, has fallen into the same bucket as methods such as billboard and TV advertising which don’t benefit from having such robust ROI measurement mechanisms baked in and thus have largely escaped intense ROI scrutiny. However, things are starting to change with regards to PR. Everything PR proposes a range of metrics to measure the ROI of PR, namely; PR mentions (counting PR mentions and calculating viral impact), social media metrics (calculating engagement over coverage, calculating community growth), and PR outcomes (calculating behavioural impact and sales impact). PRWeek has also provided a very detailed breakdown of the growing number of PR ROI measurement techniques and metrics in their piece titled “emerging models of PR measurement”. The overarching idea being that “as digital becomes intrinsic to PR and the communications industry diversifies into new areas, measuring outcome has become more urgent than ever”. So as can be seen, a few key trends are already prevalent in the industry today and are set to help define the next few years of PR in the UAE and the rest of the world. The UAE’s especially high mobile, broadband and social media adoption and penetration rates coupled with their predominantly young consumer base, a large proportion of which having a large disposable income, will mean the job of PR and marketing professionals will become more challenging in the coming years. These PR/marketing professionals will have to work hard to get their brands seen and heard among the hundreds of others competing for the attention of these coveted affluent, technically literate consumers. We believe that it’s the professionals that move with the trends that will stand the best chance of reaching their desired target market in a meaningful and cost effective way.